Ashley Rideaux - Can Practicing Yoga Inspire a Positive Outlook on Life? 12 Ashley Rideaux – Can Practicing Yoga Inspire a Positive Outlook on Life? 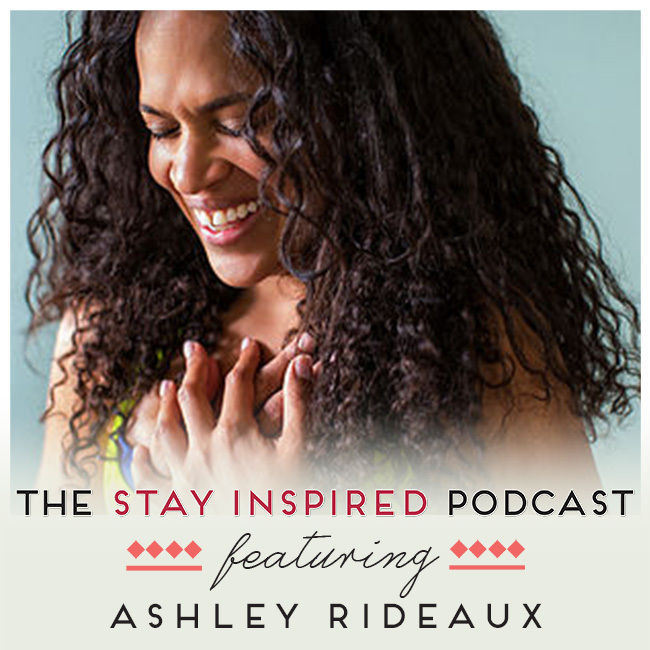 Our guest today on the Stay Inspired Podcast is the wonderful Ashley Rideaux, an LA-based yoga teacher and teacher trainer. Aside from her own yoga studio, Ashley leads workshops and retreats around the world, including in Italy, India, and Indonesia. We will be talking about Ashley’s experience with yoga, where she has moved from student to teacher, and to becoming a mentor for other yogis. Though her path is unique, Ashley goes over some universal truths and insights she discovered in her practice, as well as ways for interested people to get started and get their questions answered. Can practicing yoga inspire a positive outlook in your life? The answer for me is a definite YES and my time practicing with Ashley has shown me why! Through her beautiful spirit and wisdom, you can make great steps towards achieving your goals and dreams. Where do you begin? Hint: You begin WITHOUT FEAR! The importance of knowing our limits…. and how it can help others!